Detroitologist: Taking a Leap of Faith. 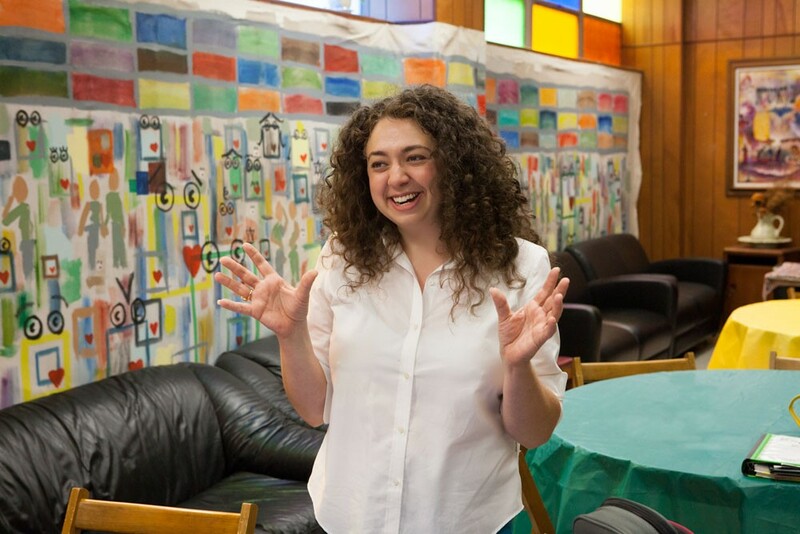 Meet Anna Kohn, 28, Director, Isaac Agree Downtown Synagogue; Self-Designed “Detroitologist,” Social media expert, Fundraiser, Grant writer. Devilsticker. Bikes to work. It would seem that Anna was born to the work she has chosen. An accomplished fundraiser, project manager, grant writer and community activist, Anna always has demonstrated a rare pioneer spirit. As an undergrad at Hampshire College in Amherst, MA, she created her own field of study graduating with the world’s only Bachelor’s degree in “Detroitology,” defined as the study of the relationship between elected officials and the state of poverty in the city of Detroit. 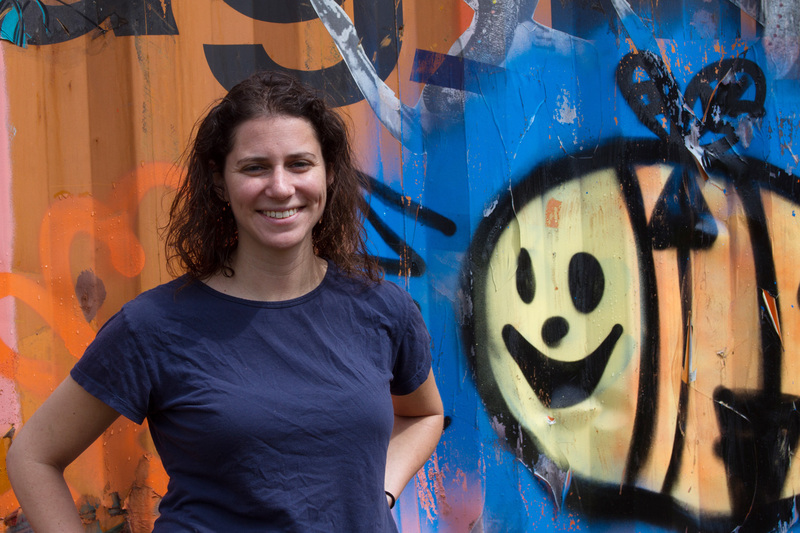 A graduate of CUNY Baruch’s National Urban Fellows (NUF) program, Anna received her Master’s in Public Administration, with her central focus on prisoner re-entry initiatives. Dating back nearly 100 years, the Downtown Synagogue now serves a membership base of 300 and growing. The resurgence of synagogue life is evident in the restoration efforts underway to create a community hub, open to people of all faiths and integrated in the rich cultural life of Capitol Park. Upon graduation, she took a position as the Development Manager for a startup nonprofit in New York City to help returning citizens coming off of extensive prison sentences to start their own businesses through aggressive, MBA-like training. In her political efforts, Anna has worked on four separate election cycles and in the Executive Office of Michigan Governor Jennifer M. Granholm. 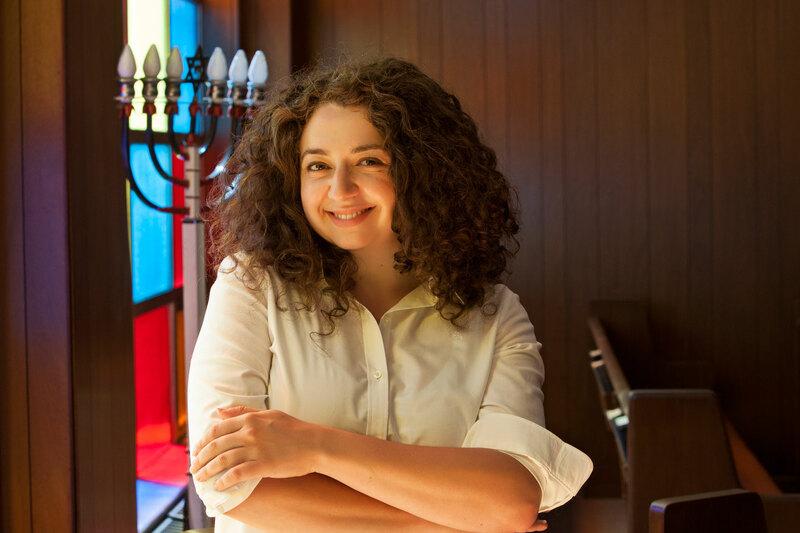 Fortunately, for the Jewish Detroit community, the gravitational pull of family brought Anna back home in September of 2012, when she joined the Downtown Synagogue in Detroit as Director. myJewishDetroit: Anna, you mention that social action is in your DNA. How so? 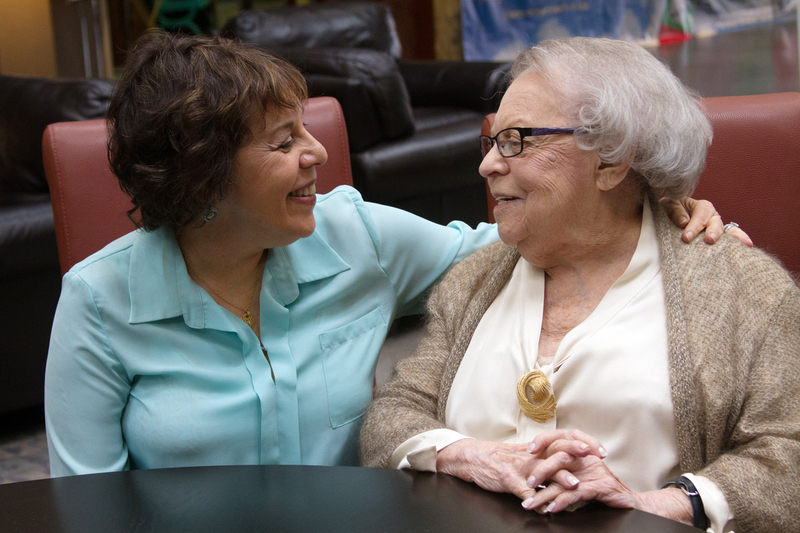 I can’t say enough about the influence of my amazing parents, Laura and Marty, my sister Maggie, and in particular, my grandmother, Bea Sacks, the matriarch of our family and a born leader. As one of the founding members of the “Suburban Temple of Greater Detroit” on Ten Mile and Greenfield (Temple Emanu-El today), my grandmother’s staunch commitment to social justice and community organizing always has inspired me and been my model. 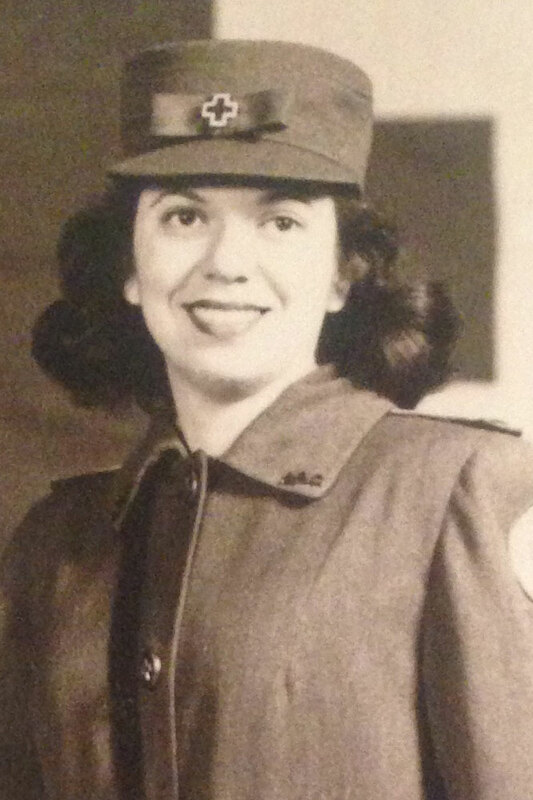 In many ways, my grandmother remained my best friend throughout my formative years and shaped my Judaism. I often think of her insistence on interpreting Judaism through the lens of social justice – and her commitment to helping the needy, feeding the hungry, advocating for peace, fair and equitable civil service and promoting a healthy environment. For me, my Jewish background always has served as the bedrock for the values, morals, teachings and support system I’ve carried through life. Having chosen synagogue life for my profession, I now find it curious and challenging to grapple with the questions we ask today: how to attract and retain young, independent, millennials and apply Judaism to their lives. myJewishDetroit: Tell us about the start of your career as a community organizer. I must have started my career in the womb, because my intolerance for injustice manifested at a very early age. I was nine years old when I founded my own nonprofit organization, which I called A.H.U.G. (an acronym for Anna Helps Us Give), which I kept going for nearly a decade back in the 1990’s. The purpose of A.H.U.G. 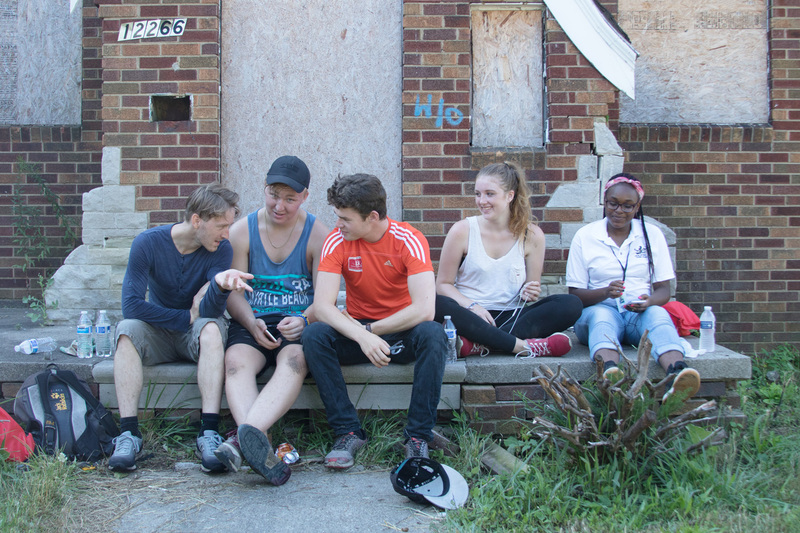 was to give back to Detroit’s most disparate homeless population in the Cass Corridor. With the help of my parents and grandparents, A.H.U.G worked to provide those in need with warm winter coats, socks, hats, gloves, toiletries, undershirts – basic necessities. Though that work, I have the distinction of being the youngest-ever recipient of the Salvation Army’s “Army of Stars” Award. I began my political career at 14 years old, working with my grandmother in Congressman Levin’s office answering the phones, listening to people’s concerns and requests. Working in this capacity, I became the youngest staffer on the Gore Campaign through Congressman Levin’s campaign office as webmaster and volunteer coordinator. My political bent naturally led me to the National Urban Fellows Program at CUNY Baruch, and then to Atlanta, working for the County Manager where I helped start up the Fulton County Jail re-entry program, and spearheaded and planned for what is now one of Fulton County’s most successful initiatives—a mobile farmers market called Fulton Fresh. 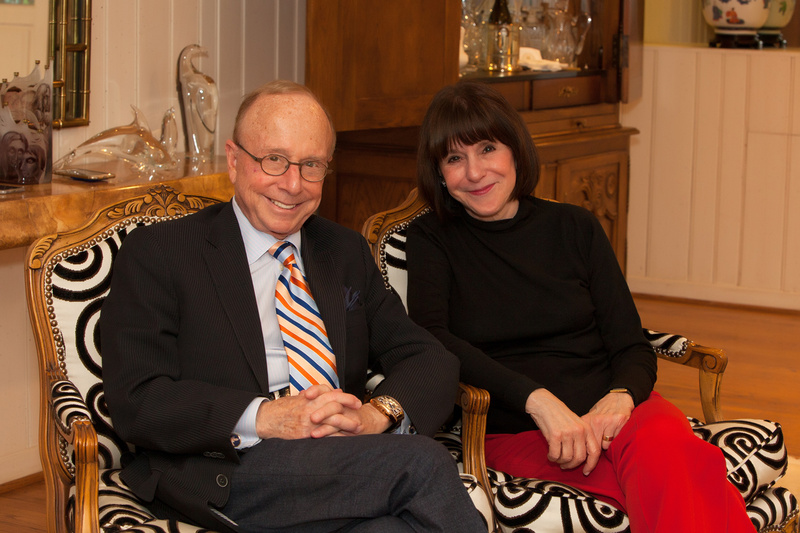 myJewishDetroit: What brought you home to Detroit? I moved home in 2012 to be with my family when I learned that my grandmother was nearing the end of her life. Honestly, as much as I love this city, and in spite of my undergraduate degree in “Detroitology,” I never expected to stay. But, once I was living here, I started to see how important it was to return. So I then reached out to friends of my grandmother to make some sense of my career and passions for social justice and Judaism, and that’s what lead me to the last freestanding Jewish institution downtown – our Synagogue. 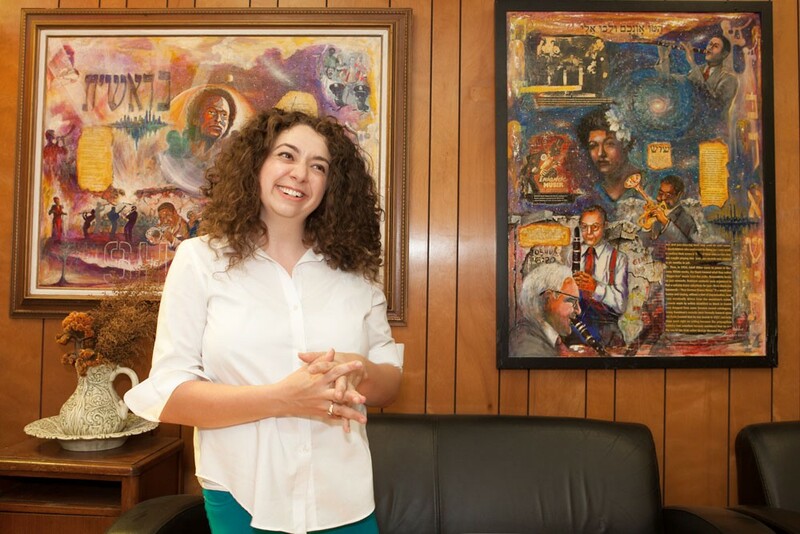 The paintings of internationally acclaimed Detroit artist, DeVon Cunningham, are a treasured feature of the Social Hall, the synagogue’s hub for meetings, Torah study and Shabbat meals. 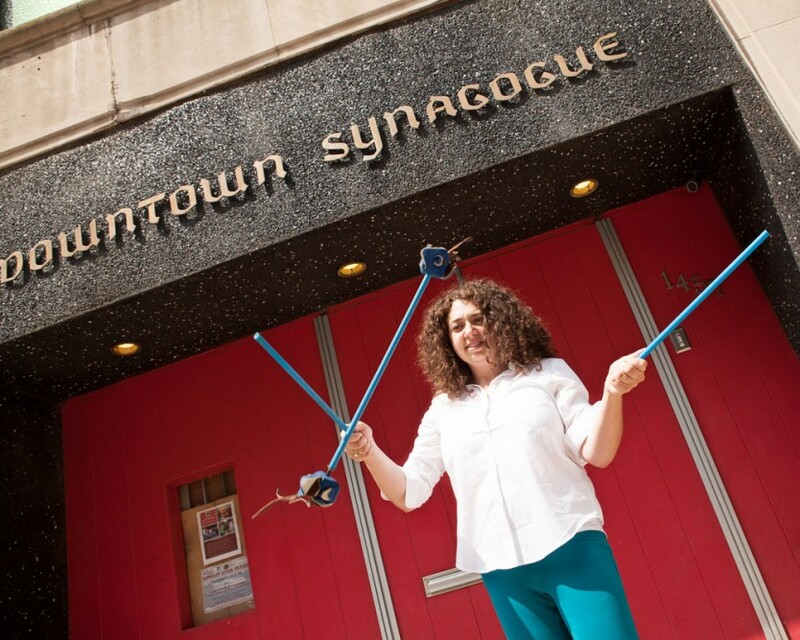 myJewishDetroit: Tell us about downtown synagogue life: What fuels your fire? How have you been inspired, surprised? The challenge is what keeps me going. And the congregants. I’ve been inspired by the individuals who flock to our community downtown. We’re often described as eclectic, creative, innovative, entrepreneurial, pioneers, observant, communist, hippies, progressive, intentional… and those terms are just a few of the many. Our diversity inspires me. We maintain an open, inclusive space where leaders can develop, where program ideas can materialize, and where Judaism stands firmly at the crossroads of Detroit, a city working towards reinvention. Three hundred members and supporters strong, we are thrilled to have just concluded our most ambitious campaign: the first stage of bringing our historic building up to code. Next? We anticipate rolling out a capital campaign in the coming year to help make our dreams a reality as we re-envision new ways to use our prime space, in the heart of the city, at Capitol Park. Our leadership has been key to our growth. So many folks—young and old—have stepped forward and risen up to help launch and support our programs and new ventures. We have a flourishing community garden on the east side, a dynamic Lunch ‘n’ Learn program, Shabbat services every Friday night and Saturday morning, and a menu of opportunities for Talmud and Torah study sessions. We have a vibrant community of volunteers and an ever-full calendar of events. Collective learning is a big part of our synagogue life. We have taken the notion of adaptive Judaism to a new level— take what applies to the life you lead, cultivate it, celebrate it and understand: Judaism is a process of lifelong learning and change. Beyond my role in the synagogue, I love to teach. I serve on the board for a startup nonprofit in Brightmoor called Replanting Roots, which helps empower men coming out of prison to begin their own enterprises, focusing on urban agriculture as a means to that end. With that, I teach entrepreneurship classes every week in the Macomb Correctional Facility. myJewishDetroit: From your standpoint, what makes Detroit a great place to live, work and play? I’ll answer that question with my favorite do’s and don’ts. Do come downtown to visit, stay for a Friday night service and enjoy a delicious, home-cooked Kosher vegetarian dinner prepared with produce from our own Eden Garden Farm. Do come, explore: Take a tasting tour of the Eastern Market, bring your camera for a Pure Detroit tour of the Fisher Building, take a pastry and coffee break at Avalon Bakery, take a walk through Campus Martius Park, or along “Webward Avenue,” where new shops, cafes and restaurants are popping up right and left. Don’t call Detroit a blank canvas. True Detroiters are put off by the label. We are all here, working in our own ways to add to the landscape of our city. Don’t fear for our future. Our power in numbers is growing by day, and our identity isn’t just the grim news you hear or read in the papers. We are here, working, playing, and breathing new life into the city. Don’t knock us down: Detroit is a city built on invention and innovation. We’re a community of doers, inventors, builders. We can and we will reinvent and build again. myJewishDetroit: What you tell people considering moving back to Detroit or into the city for the first time? Detroit is not an easy city to love. But those who do are totally smitten. If you want to make changes you can really see, develop ideas that can materialize, and work alongside tough, motivated and passionate colleagues, you belong here in the city. But don’t take my word for it. Look for yourself. Create your own ruckus and surely you will find a piece of Detroit that sings to you and brings you joy. Favorite Buildings in the Detroit Skyline: The Guardian, and the former Comerica Tower, which, when I was very young, I always called “The Wonderful Building” because of its really beautiful top. Favorite Spot for Kids: The DIA, the Riverwalk, and now there’s a beach in Campus Martius… surf’s up! Recycling Detroit, Turning Trash into Art.